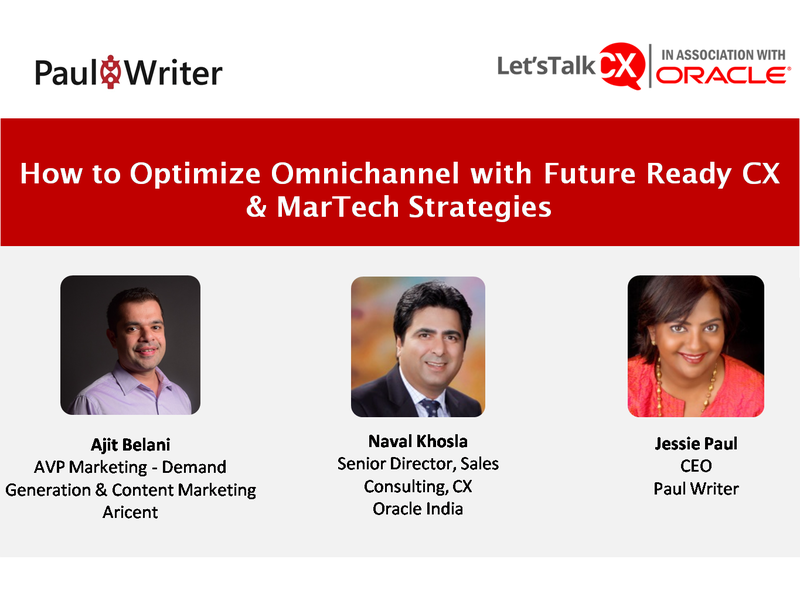 Paul Writer hosted the LIVE discussion on How to Optimize Omnichannel with Future Ready CX & MarTech Strategies. 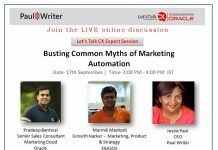 We live in an era where the customer calls the shots and businesses need to keep up with their increasing demands and dynamic preferences. If one brand is unwilling or unable to meet these expectations and demands, surely enough, it’s competitors will. When brands can no longer create differentiation on the basis of price and quality, what will determine its success is the Customer Experience (CX) delivered. Where does your company stand when it comes to customer experience? Are you taking the measures necessary to improve your CX? This session will discuss the top customer experience trends that could potentially impact your business in 2019. 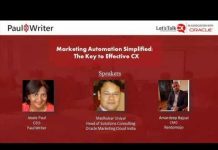 We will also see interesting use cases on how marketing and CX are better together. 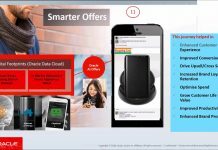 Optimize omnichannel with future ready cx By Naval Khosla, Sr. Director, Solution Engineering, Oracle Customer. Creating a Future Ready CX & MarTec Strategy By Ajit Belani, Assistant Vice President Marketing – Demand Generation & Content Marketing, Aricent.